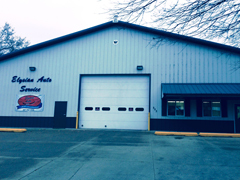 Elysian Auto Service is a family owned auto repair facility in our area. Our staff is completely customer driven. We don't answer to a district manager... we answer to YOU. For over 47 years, the Lakes Region has been our home. Its citizens have been our friends and neighbors. We continually strive to earn the trust and confidence of our community on a daily basis. Elysian Auto Service cares for the Southern MN Lakes Region one car at a time, including Elysian, Cleveland, Madison Lake, Janesville, Waterville, Waseca, Morristown, Eagle Lake, Mankato and more.